We thought we had had our doses of delight in the British Royal Family for this year. 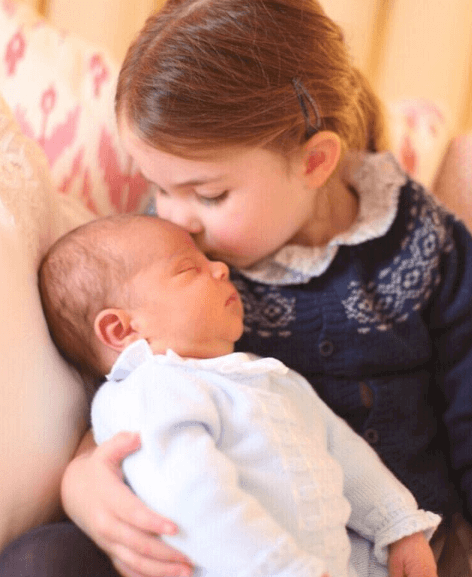 We witnessed two royal weddings; Harry and Meghan's in May, and Eugenie and Jack's in October, and a new royal acquisition with the birth of baby Louis. Perhaps, all this added to everyone's astonishment when on October 15, Kensington Palace announced that Meghan Markle had a little bun in the oven after only five months of marriage. It was merely the jewel of the crown for the Hollywood A-lister in her journey to become a real-life Disney princess, and her fans couldn't be any happier. In that new stage that will start in the spring of 2019, the Duchess will be expected to follow specific rules. 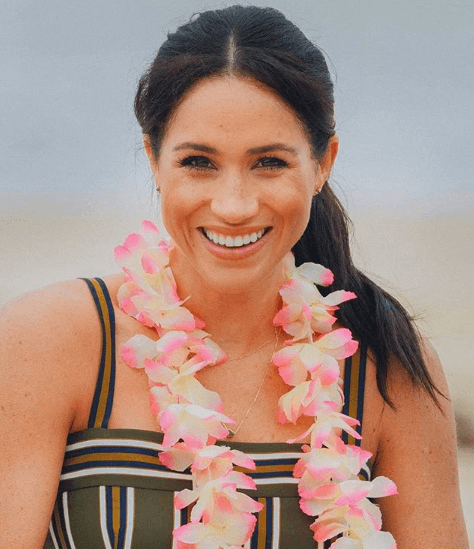 It is true that since her arrival to the family, she has shaken up the status quo, but there are some things that, as a royal mother, she will have to embrace. You can find them all below! It is said that first impressions last forever; that is why people are cautious with the way they are perceived by the rest of the world. And when you are a royal, the pressure increases exponentially. One of the most awaited moments for fans is to meet Meghan and Harry's bundle of joy, but of course, he or she won't be in charge of the first impression, but mom Meghan. Adoring followers and photographers will be dying to meet the new babe. Hence, it's customary for royalty members to pose for the hoards outside St. Mary's Hospital hours after the baby is born. Princess Diana, Princess Anne, and Duchess Katherine did it, and Meghan will be required to do the same. To top it all off, she will have to look picture-perfect, smiling and posing, even after the strenuous labor of having a child. Not to scare her, but Meghan will have some serious pressure! After the birth, another momentous event is the christening of the baby. As you might now, royal members are baptized into the Christian faith, and so will the newcomer, regardless of her mom's beliefs. 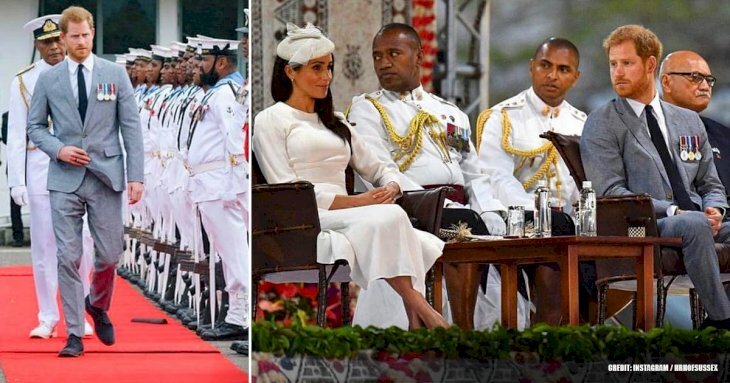 One of the most critical aspects for the ceremony is undoubtedly the garment, but sadly for Meghan, she won't be able to choose it. Instead, she will have to stick to the Honiton gown. Maybe the name doesn't ring a bell, but it is the long, whitish piece that George, Charlotte, and Louis donned. But why is it so important? Well, mainly because it is a deeply-rooted custom that newborns wear a replica of the gown that Queen Victoria put on her eldest child. In 2004, the Queen retired the original garb and had another one made. With the history of the Honiton gown, we don't think the long-lasting tradition will go anywhere. Perhaps, you might be wondering what makes a wave so unique, but according to the royal expert Victoria Arbiter during an interview with ABC News, "[The Windsor wave] is pretty much restricted to members of the royal family. It denotes class, elegance, restraint, and character." It cannot be confused with any other kind of wave because it is carefully crafted, and that is why it takes time to perfect it. Even the mom-to-be needs a little bit more of practice before she is ready to teach it to her offspring, but she will undoubtedly be expected to do so. Maybe, she can get some help from Charlotte, who seems to master the art of the renowned flick-of-the-wrist wave. 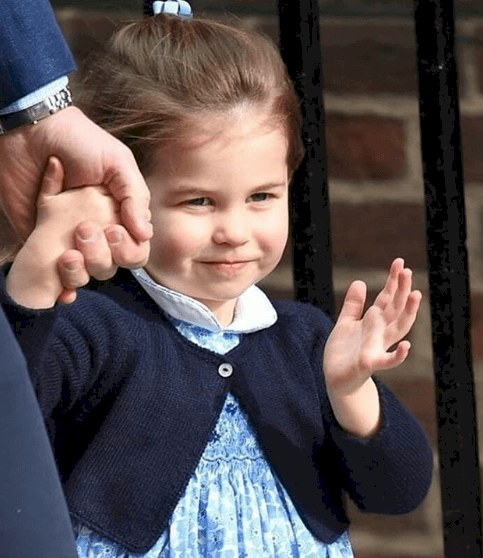 She made headlines during Princess Eugenie's wedding since she was spotted making her adorable Windsor wave. Much like commoners, godparents are chosen to take a particular interest in the well-being, religion, and upbringing of a child. For royals, it is even more crucial because if anything tragic happens to the parents, godparents are expected to fill the void that the progenitors' death would leave. But unlike the average citizens who chose one or two, blue-blood members have a lengthy list of around six relatives or friends that can step up. 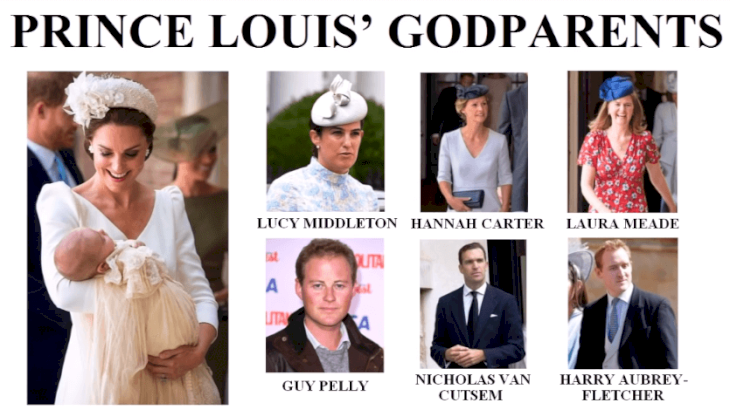 For instance, baby Louis has that amount of godparents, all of whom are trusted aides for William and Kate. Surprisingly, Meghan and Harry were not the prince's godparents. Perhaps, they were content enough with the proud titles of aunt and uncle. We are not sure who will Meghan choose, but it is very likely that she will struggle to narrow down her trusted pals for the potential list. Will Kate and William be there? Only time will tell. It is exciting to be a kid, but one drawback of this age is definitely sitting at the awful kids' table during family engagements. Something that could make children feel better is to know that this aspect is the same for royals. According to Harper's Baazar, blue-blood kids are relegated "until they have learned the art of polite conversation." The Duchess of Sussex is required to implement this principle with her bambino. We're sure that this rule won't be a problem for Meghan. Long before entering the royal family, Markle was the queen of the red carpets with her exquisite fashion style. Now that she is royalty, she hasn't disappointed her fans with her clothing choices that include outfits, fascinators, and accessories. The Duchess has shown she knows what to wear for every engagement, and it will be a piece of cake for her to learn how to dress her newcomer. 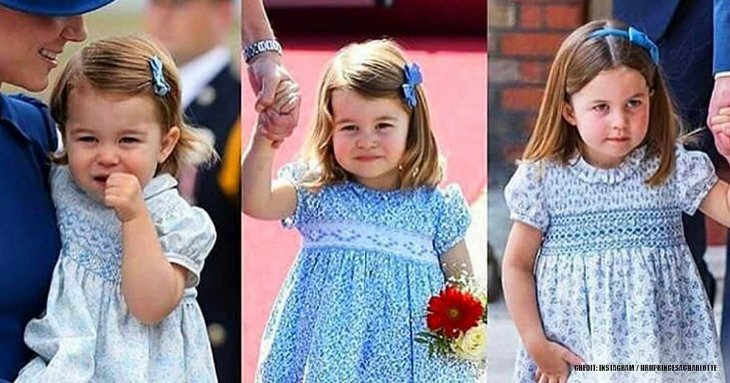 Perhaps you haven't noticed, but royal children's clothes follow precise rules. 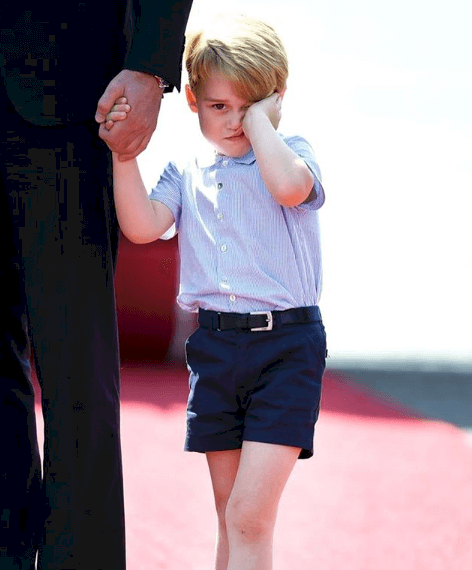 If Meghan has a boy, she won't be able to buy T-shirts and jeans; he'll have to wear shorts. If it's a girl, the new momma will have to choose simple dresses with neutral colors. According to William Hanson, etiquette expert, "trousers are for older boys and men, whereas shorts on young boys is one of those silent class markers that we have in England." Way before Markle met the love of her life, she was a vocal advocate of high-quality education. She even composed an influential essay last year for Time about girls giving up their training to avoid the embarrassment that menstruation brings to them. Therefore, with such a strong belief, there is no doubt that the Duchess would want the best education for her offspring. Fortunately, the British Royal Family shares the same principle when it comes to the learning process of their members. The future mother will be required to enroll her little one in a distinguished school in London. 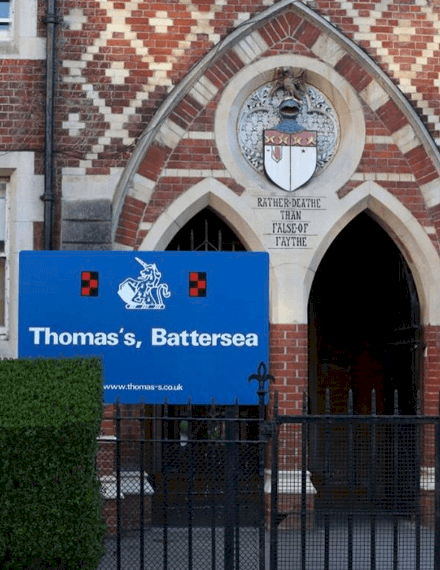 For instance, Prince George studies at Thomas's Battersea, an institution "for cosmopolitan parents who want their children to have the best English education money can buy," with a price tag of $23,000 yearly. If Meghan had had a baby while being a Hollywood star, it is very likely that she would have adopted the protective style of hundreds of celebs nowadays, who avoid sharing pictures of their bundles of joy as a way to protect them from the public eye. However, the approach for royal members is entirely different. Markle will have to share her babe with the world by posting photos and taking him or her to public events. Evidently, the mom-to-be has a lot of rules and traditions to digest. Luckily for her, she still has some months before we welcome the new royal baby. 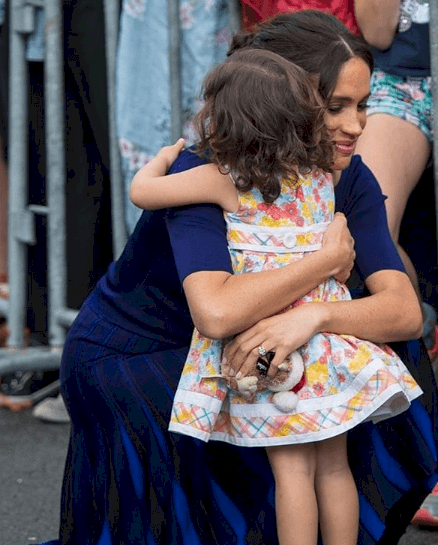 Becoming a mother will undoubtedly be one of the greatest joys for the Duchess of Sussex, but nobody said it would be easy now that she belongs to the British Royal Family. Do not forget to share this fascinating information with your fellow royal lovers. Until next time!